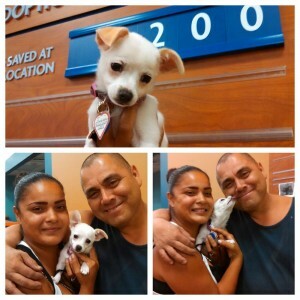 Los Angeles, CA – The PetSmart Charities™ Everyday Adoption Center by spcaLA (Society for the Prevention of Cruelty to Animals Los Angeles) has reached a milestone: 200 animals have been adopted! Located inside PetSmart®, the Everyday Adoption Center opened in January of this year. The Center is operated and staffed by spcaLA and the pets that are available for adoption come from spcaLA shelters. This model is used successfully throughout the United States but this is the first PetSmart Charities™ Everyday Adoption Center in California. The Everyday Adoption Center is open Monday through Saturday, 11am-9pm and Sundays 11am-6pm. Come meet your Friend for Life! For a list of adoptable pets and spcaLA adoption requirements, please visit spcaLA.com.